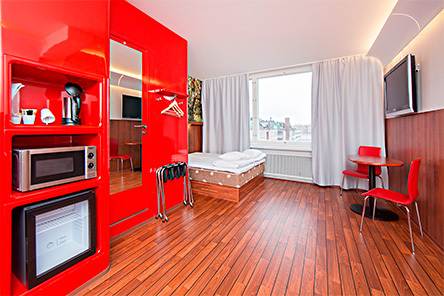 The Tampere hotel is located in the city centre. Tampere’s largest department stores, market hall and the Koskikeskus shopping centre as well as numerous fashion and specialty boutiques are located within walking distance from the hotel. For example, you can visit the Stockmann department store or Koskikeskus shopping centre which are located just a stone’s throw away from the hotel. 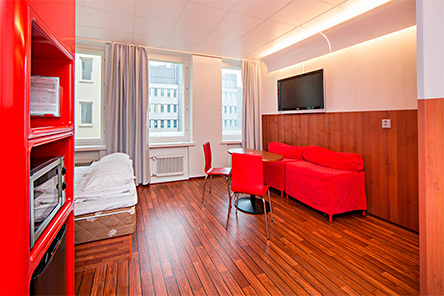 Whether you are in Tampere on business or vacation, you can enjoy the hotel’s amazing location in the heart of the city. It is easy to get to the city’s most important sights from the hotel, like the market hall, the Kaleva church, Hervanna water tower and many more. There are also conveniently located parking spaces and transit. 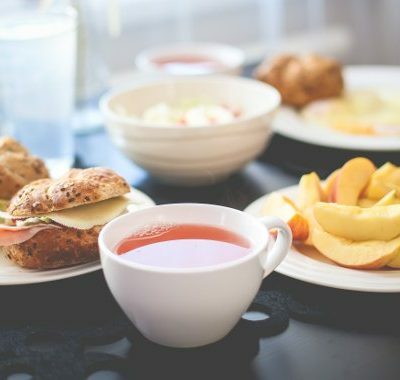 Café Siilinkari serves a buffet breakfast for Omena Hotel guests at the price of 9.20 €/person. 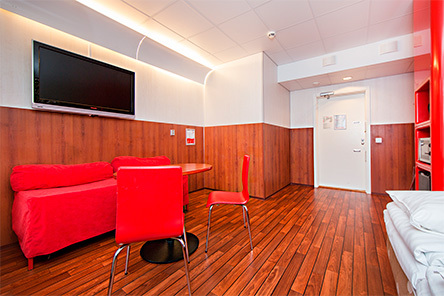 The cafeteria is located at Hämeenkatu 9 next door from the hotel. Buffet breakfast includes eg. porridge, bread selection, meatballs, sausages, rice pies, yoghurt, muesli, fruit salad, coffee/tea, juice and a lot more. Breakfast is served Mon-Fri 7.00–10.00, Sat-Sun 8.00–11.00 (no breakfast on public holidays).